Rikamar and Gorbatz like this. i wish the picture would be larger. its hard to read the writing. "I'm da hand of Gork and Mork, dey sent me to rouse up da boyz to crush and kill ‘cos da boyz forgot what dere ‘ere for. 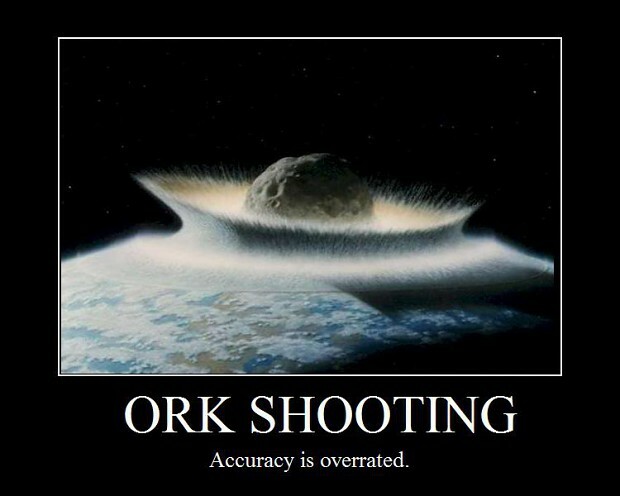 I woz one of da boyz till da godz smashed me in da ‘ead an’ I ‘membered dat Orks is meant to conquer and make slaves of everyfing they don’t kill. 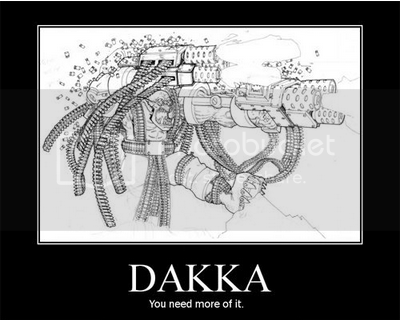 I’m da profit of da Waaagh an’ whole worlds burn in my boot prints. On Armour-Geddem, I led da boyz through da fire deserts and smashed da humies’ metal cities to scrap. I fought Yarrick, old one-eye at Tarturus, an’ he fought good but we smashed iz city too. I’m death to anyfing dat walks or crawls, where I go nothin’ stands in my way. We crushed da stunties on Golgotha, an’ we caught old one eye when da speed freeks blew da humies’ big tanks ta bits. I let ‘im go ‘cause good enemies iz ‘ard to find, an Orks need enemies ta fight like they need meat ta eat an’ grog ta drink. I iz more cunnin’ than a grot an’ more killy than a dread, da boyz dat follow me can’t be beat. On Pissenah we jumped da marine-boyz an’ our bosspoles was covered in da helmets we took from da dead ‘uns. We burned dere port an’ killed dere bosses an’ left nothin’ but ruins behind. I’m Warlord Ghazghkull Mag Uruk Thraka an’ I speak wiv da word of da gods. We iz gonna stomp da ‘ooniverse flat an’ kill anyfing that fights back. 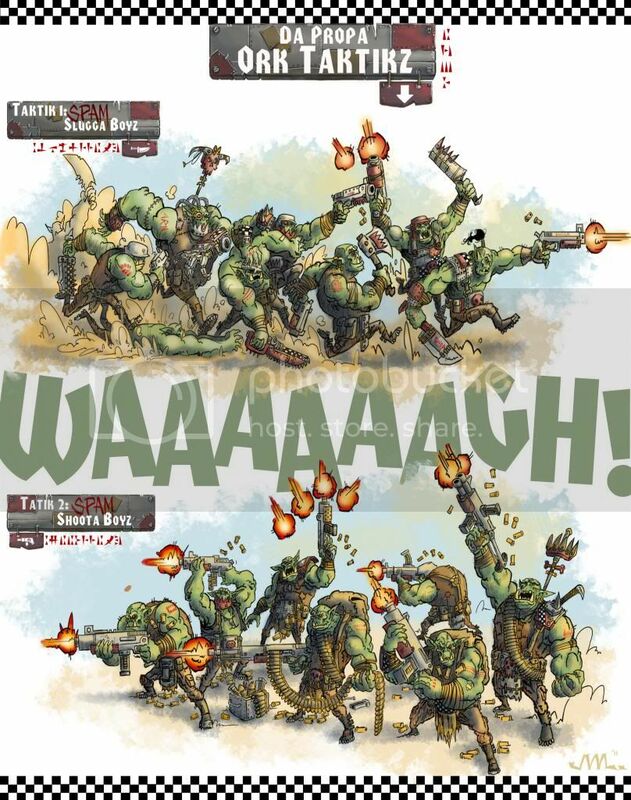 We iz gonna do this coz’ we’re Orks an’ we was made ta fight an’ win!" Gotta handz it ta Gahzghkull, 'ez dead 'ard and good at gettin a proppa scrap too getha ! NotSoHappyDog! and fatrat like this. Rikamar, Plzbanme and Orkman like this. Right click, view image. It shows them in full size. Best quotes? 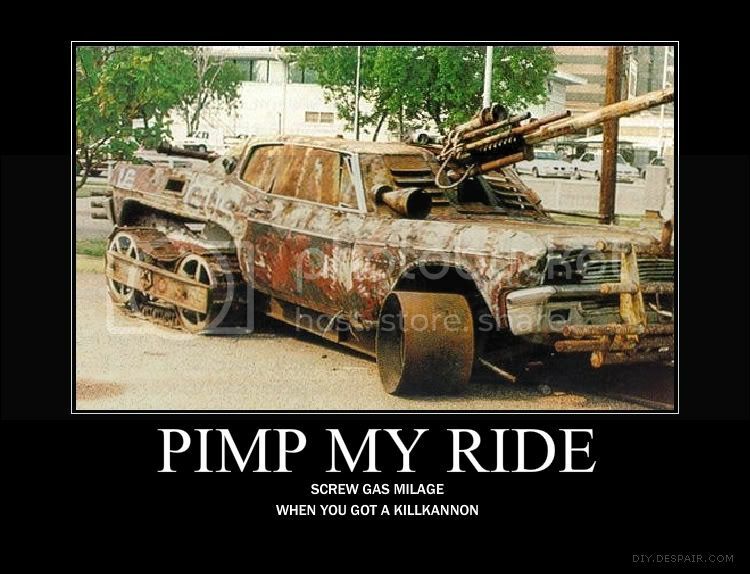 Pretty much anything Bluddflagg says, or his krew. Behold! Big-Snazz, Rikamar, KnuckleHead and 4 others like this. See dem squishy power generators? We could squish 'em, yeah? But better to steal 'em. Make 'em generate for us. Stratalogical, dat is.